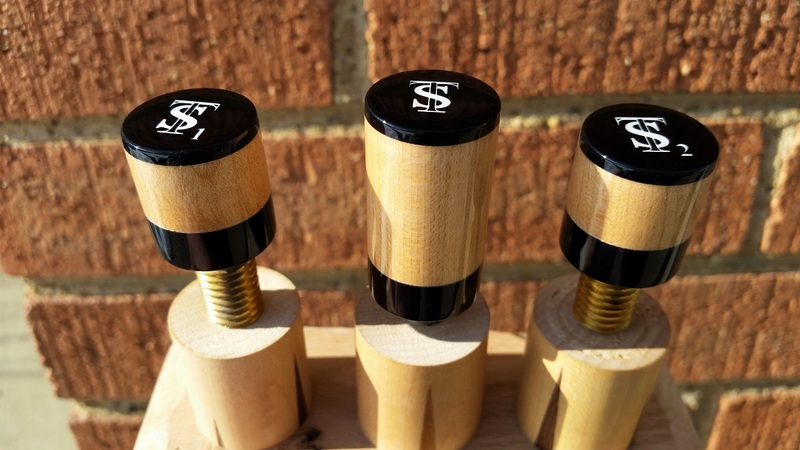 A very simple but stylish set of Scruggs JPs. 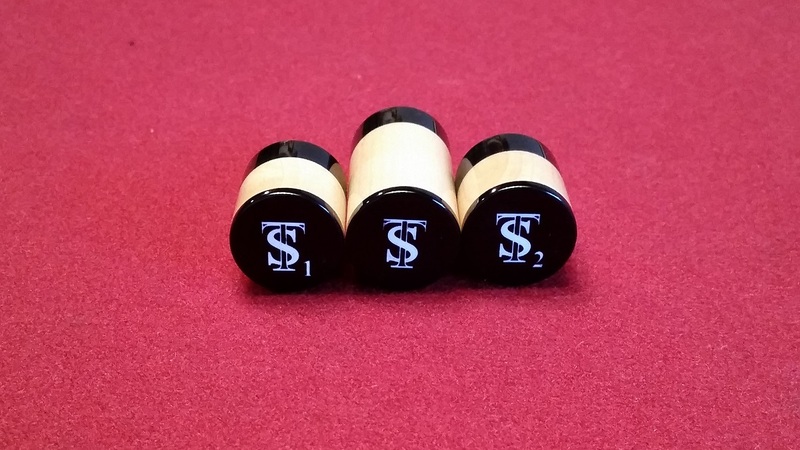 The caps and collars are black Juma. 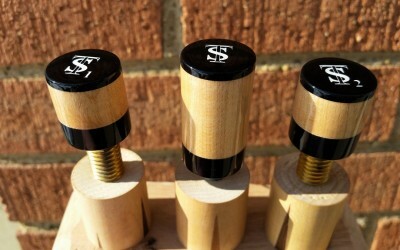 The wood is straight grain Maple taken from an old Valley Supreme house cue. 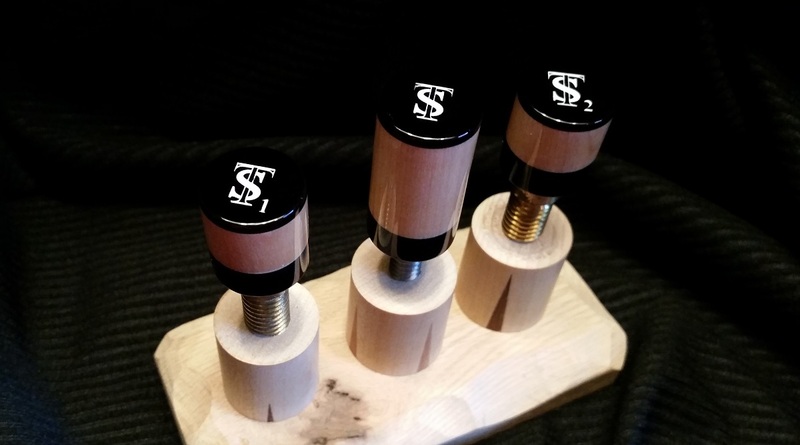 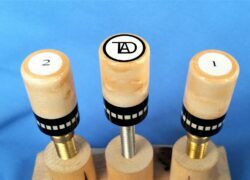 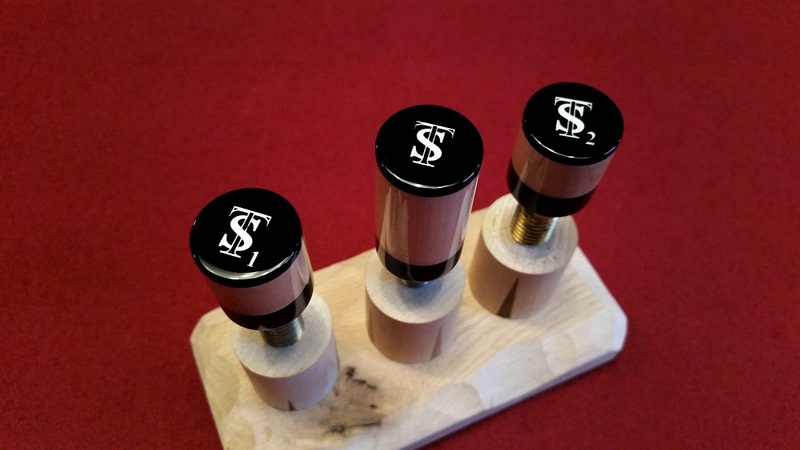 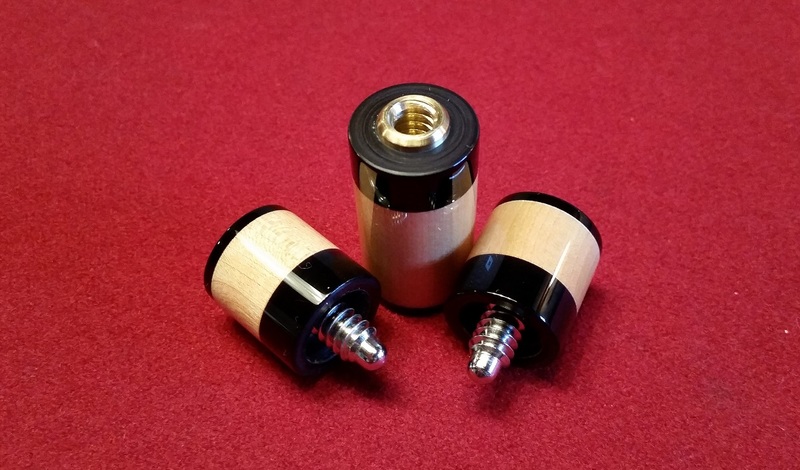 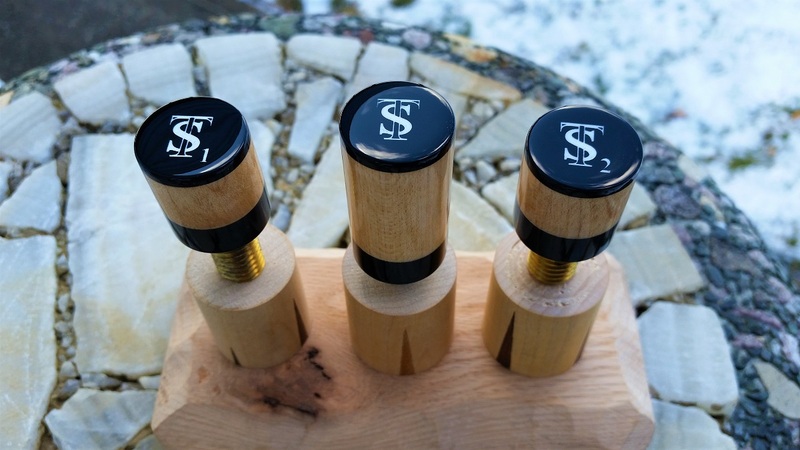 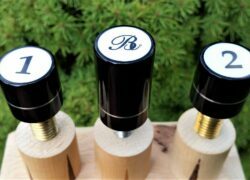 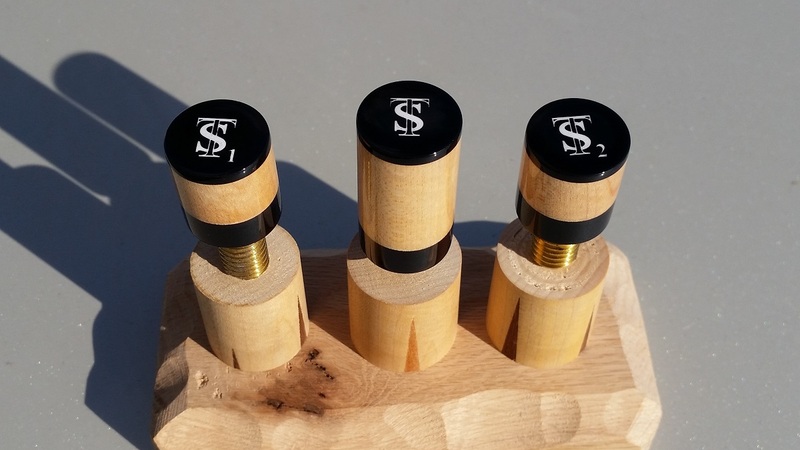 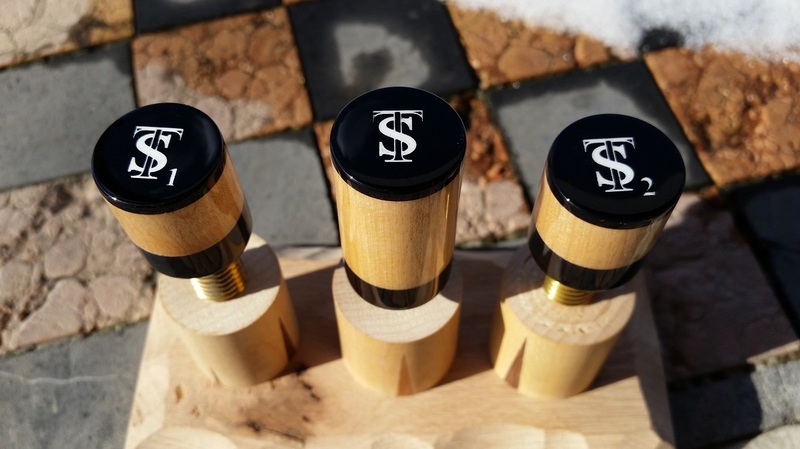 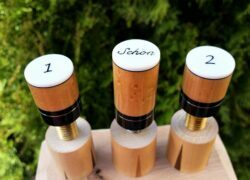 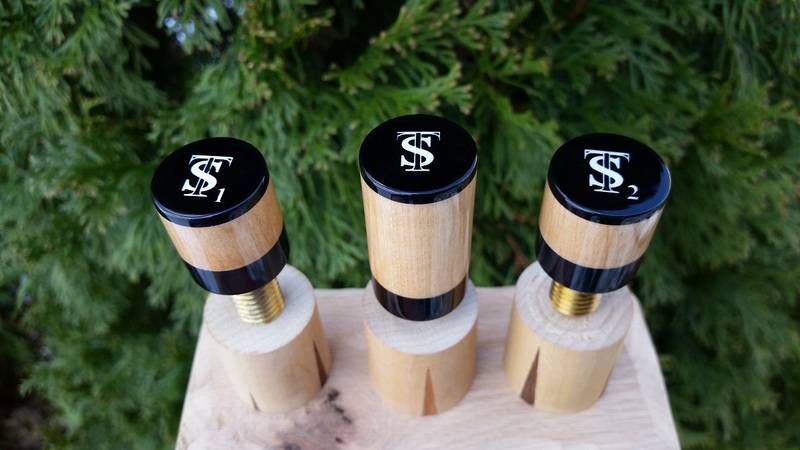 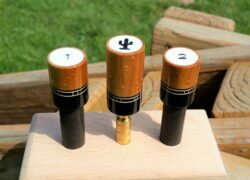 Don’t just protect your cue, dress your cue up with a beautiful set of custom joint protectors. 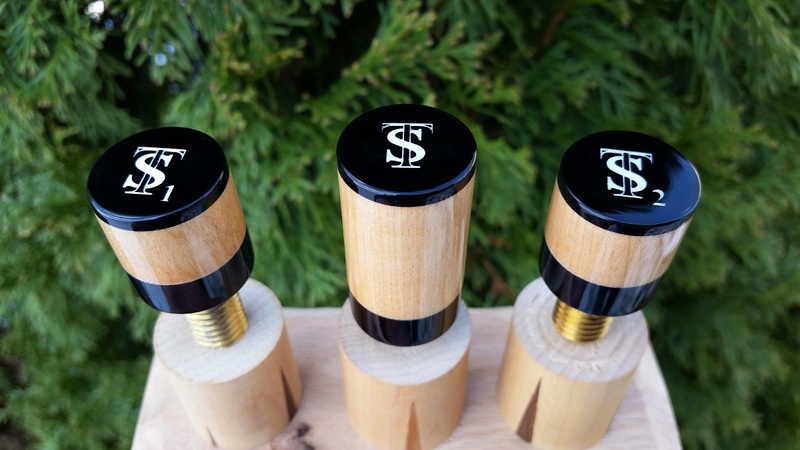 This price includes the cost of shipping.